Our day begins with a one mile Fun Run. This race is free and open to all ages. The course starts on the Myers Road main loop, just across from the basketball courts and beautiful Cayuga Lake shoreline. The runners run one and a half times around the main loop and then onto the camp road, finishing at the end of the gravel roadway. Every finisher receives a ribbon along with cheering from the varsity athletes and our community! 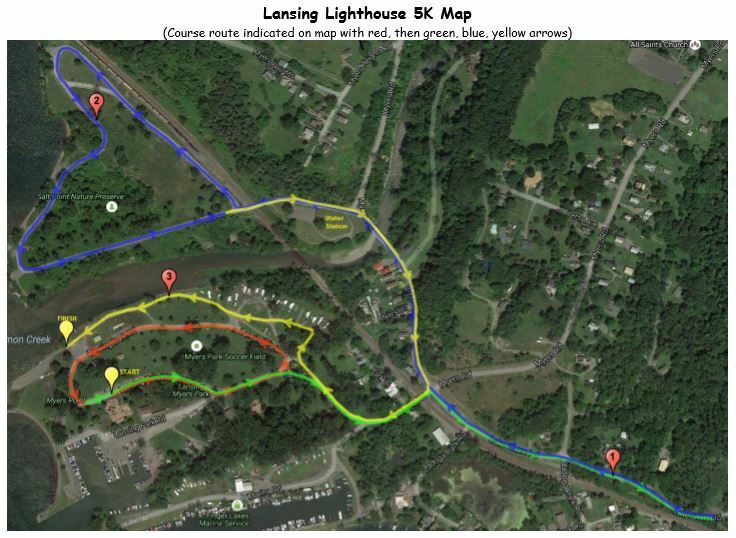 Post-race refreshments can be enjoyed lakeside immediately after this Fun Run! 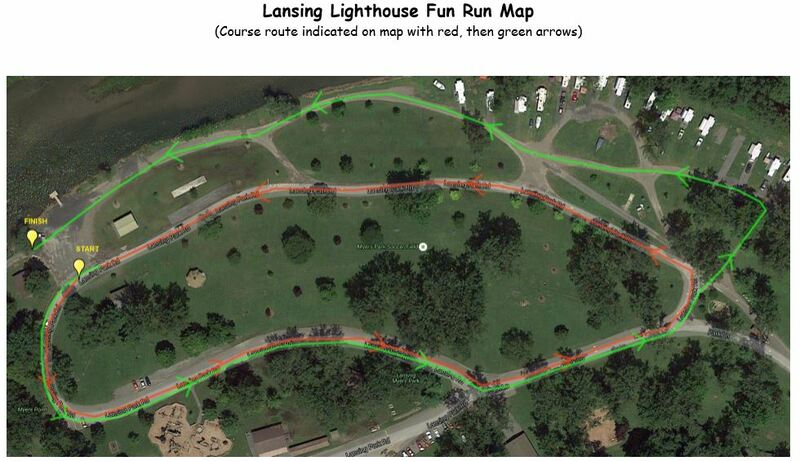 This flat course begins on the main road within Myers Park, between the gazebo and main playground. Runners make their way through one full loop of the park road and then exit past the park attendant's booth. After crossing the railroad tracks, racers turn right on Myers Road. A hairpin turn at the end of Myers Road sends racers in the opposite direction, now heading to Salt Point. A water station marks the left turn towards Salt Point, and the course loops counter-clockwise along the gravel paths of this nature preserve. Upon exiting the Salt Point trails, runners get back onto Myers Road and return to Myers Park. Upon entering the park, runners turn right onto the camp road and race toward the finish along this gravel road. A gorgeous view of Cayuga Lake and post-race refreshments await our finishers.